I grew up in deepest, darkest, dullest Nottinghamshire in the late eighties and early nineties. 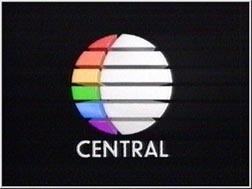 Central TV was our local ITV station, where the average story on the regional news was likely to be about Brian Clough saying something faintly outrageous, or a shop closing down in the Broadmarsh Centre. However, there were treats to be had on Central TV. Some people may remember what a little treasure trove of late-night long-forgotten horror movies it was! The Friday night slot was especially rewarding for young, sleep-deprived chiller enthusiasts. If you could manage to sit through the James Whale Radio Show (sadly not that James Whale – because that would have been fun) or Cue the Music, you were compensated with whatever the channel scheduler had found gathering dust on the shelves and thought might fill a couple of hours until the Teletext twilight zone. Lisa and the Devil: Telly Savalas in Mario Bava’s bonkers 1973 paen to surrealist horror. Young innocent tourist in Spain stumbles across a crumbling mansion inhabited by sinister aristos. Many shots of dark alleyways and incongrous glittery lapels. Very, very strange, and requires multiple viewings to work out what the heck is going on. Mulholland Drive meets Carry On Abroad. The Maze: William Cameron Menzies directed this odd tale, with Lovecraftian overtones. Young Scotsman visits inherits country estate, is haunted by visions of a giant frog hopping round the garden maze at midnight. It transpires (spoiler alert!) that the tortured amphibian is the master of the estate, doomed to live a froggy existence. Excellent use of sinister ‘ribbit’ noises. I don’t like frogs, so this one scared the beejesus out of me. Just Before Dawn: The mighty acting powerhouse of George Kennedy really made this film, as in pretty much every other respect, it’s quite terrible. I didn’t think that at the time – I rather enjoyed the time-honoured plot of young, lusty Americans camping in the mountains while an axe-wielding loon picks them off one by one. But the years have not been kind to Just Before Dawn. I bought the re-released DVD a while ago and my teenage memories were cruelly shattered – it looks like it’s been filmed on a potato, as my dad once memorably said about Where Eagles Dare. The dialogue is dreadful, the teenagers are ciphers, and the best thing is a grizzly George Kennedy dusting off his shotgun and going to catch the bad guy. Death Ship: This, on the other hand, is completely, madly brilliant. I do love a good peril-at-sea movie, and George Kennedy does another uninhibited turn as a deranged captain who fails to realise he’s hopped on board a Nazi torture ship with his castaway crew. There’s a very detailed review here (though I completely disagree with his conclusions!) and it’s probably fair to say that you’ll never, ever see this film on terrestrial TV again. Blood on Satan’s Claw: It’s only now that I recognise this as a classic. At the time, I thought it was a trippy, saturated story of mass psychosis in 17th Century England, and while that is correct, it’s only half the story. Watching it again on DVD a while ago, you can see the craftmanship at work – Tigon were one of the more innovative studios of the time, in their storytelling and direction, and this is a cracking little movie. There’s a great synopsis here – yes, the wigs and accents are a bit clunky and Patrick Wymark may be phoning in his performance from the golf club bar, but there’s lots to enjoy. Central showed a fair few Hammer films in this slot – the much-loved (by me at least) Dracula AD 1972, and a number of Amicus‘s portmanteau movies such as Asylum and Dr Terror’s House of Horrors – but they deserve a post of their own. So does Channel 4’s Tod Slaughter season, where melodrama met vaudeville and subtlety was at a premium. For a few wonderful months, I didn’t get to sleep until the small hours of Saturday morning, dreaming of giant frogs and hairy claws – all thanks to Central TV.